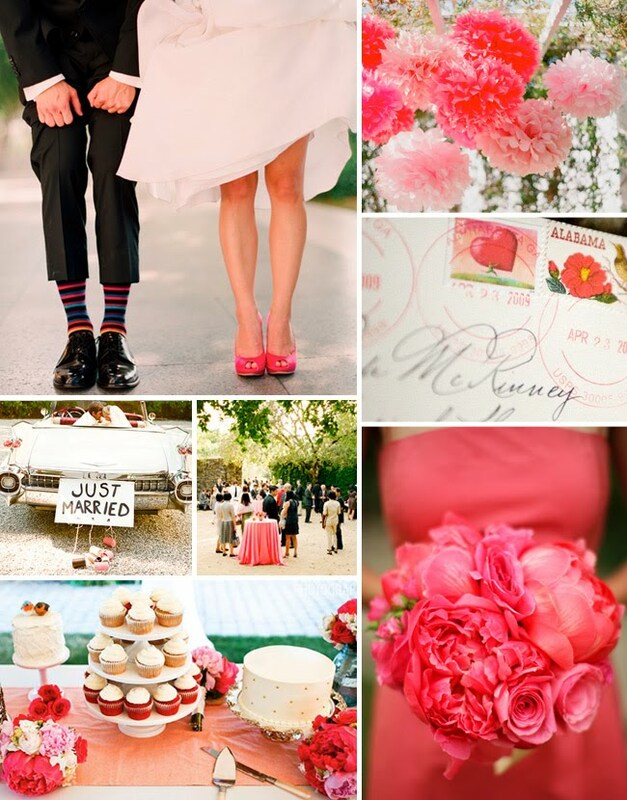 From Kristy, At first look, subtle black detailing is what drew me in to this inspiration board. Powerful, pink, salmon and blush mindfully balanced by hints of black – perfect. I felt immediately that the bold colors needed to be tamed by a neutrals with a sense of softness and a bit of shimmer. I chose a palette of strawberry, barely there aqua and black. 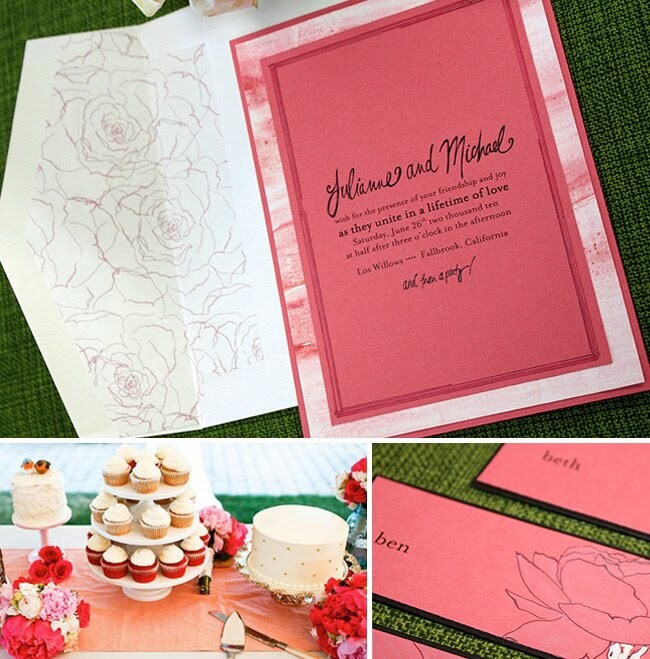 Heavily petaled flowers played right into my artistic passions and I knew that my peony illustrations would be the perfect starting point for this stationery collection. The table number, perhaps my favorite piece in the collection, was hand painted in creamy whites and aqua. The chalkboard feel seems relaxed and charming. I collect vintage findings whenever possible and had this lovely hand painted silk hankie in my collection for some time. 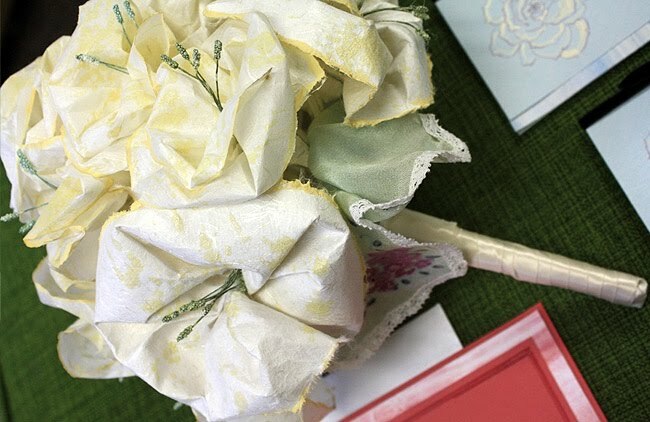 A sculpted bloom bouquet seemed to fit perfectly with the hometown-elegant vibe and the hankie became the perfect finishing touch. Each bloom, sculpted entirely of rice papers, then hand painted, seems lofty yet light, playful yet elegant and will remain a keepsake for years to come, what could be better? 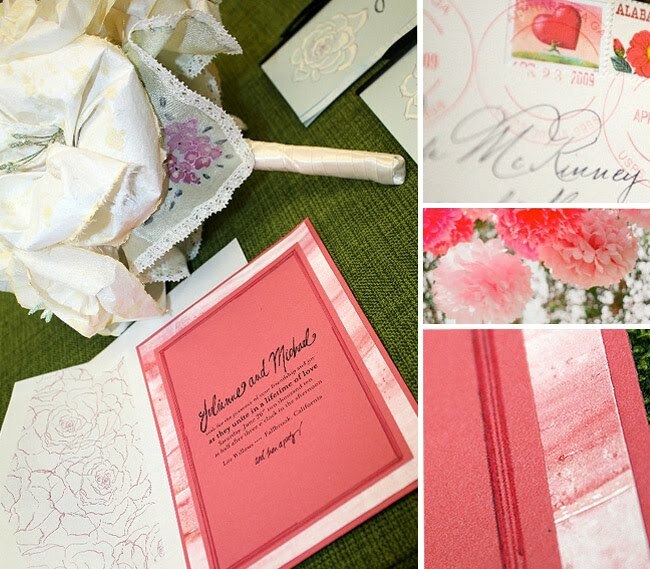 Borders for both the invitation and programs were crafted from hand painted watercolor paper. A bit of my own handwriting used throughout keeps the look breezy and casual. Thanks so much Kristy! I love those table numbers also. Be sure to take a peek into their studio and more work from Momental Designs here. Kristy's work always amazes me. Not only is she incredibly talented and a one-of-a-kind gem, but she is a blast to work with! 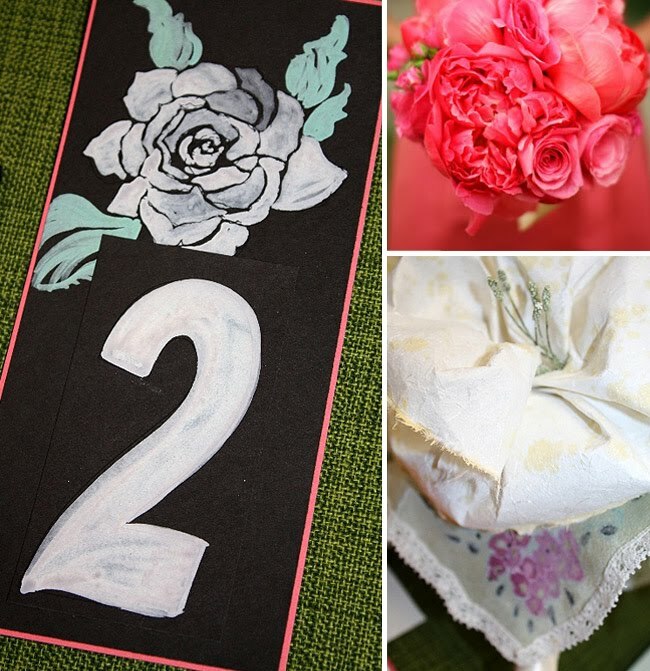 I love her table numbers here – stunning! Wooow!! So beautiful decoration, it´s amazing! All the hand painting is breathtaking. Sigh. Love it Kristy looks fabulous! Thanks so much everyone for the kind words! It is really a thrill to have my work here! 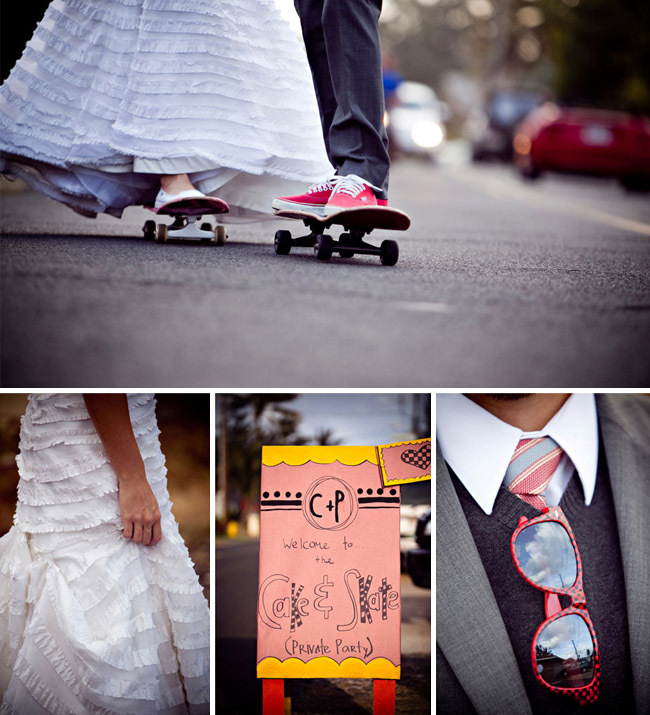 So pretty much if you took the perfect invitations from my vague imagination, they'd be this. Gorgeous, gorgeous work. 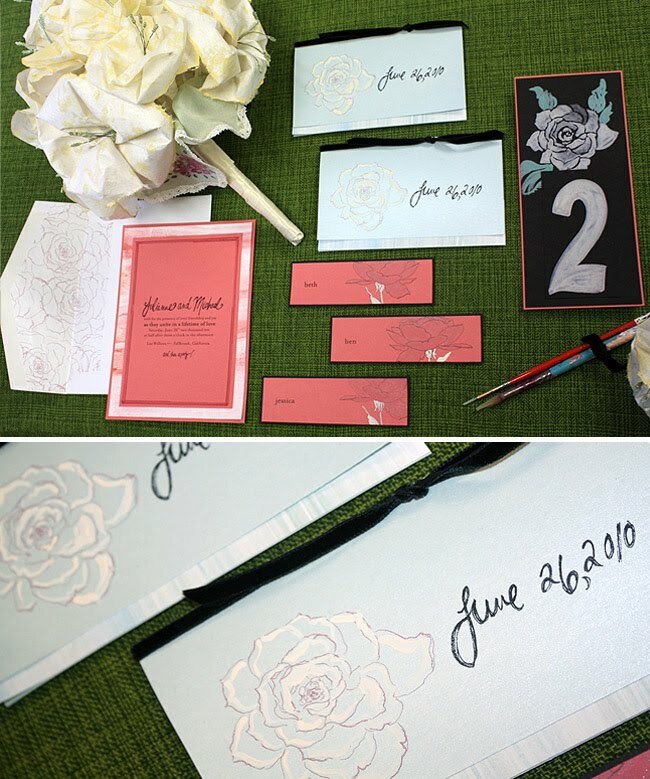 It's making me really depressed that we're broke and don't have the budget for beautiful & artistic invitations/paper goods! Beautiful! You're both so talented, great collaboration!